Marking its return to basketball in a big way, Puma announced the signing of Deandre Ayton, widely expected to be the number-one pick in Thursday’s NBA Draft, to an multi-year endorsement deal. Puma also honored basketball legend Walt “Clyde” Frazier with a lifetime contract and hired Jay Z as creative director to help guide basketball marketing. Puma has also reached multi-year deals with Marvin Bagley, expected to be a top-five pick in the draft, and Zhaire Smith, expected to be drafted in the middle of the first round. Ayton played for the Arizona, Bagley for Duke and Smith for Texas Tech. 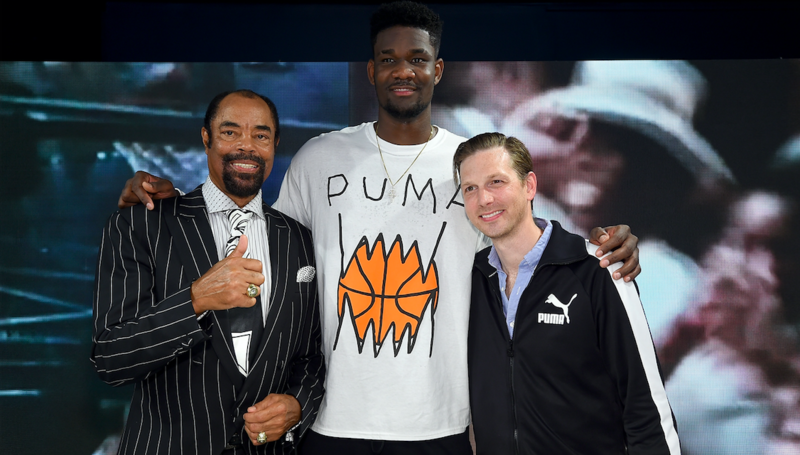 The moves were revealed at an event in Brooklyn that heralded Puma’s re-entry into the basketball category that featured Frazier, a former star of the New York Knicks, and Ayton. Frazier’s Puma Clyde was launched in 1973 and represented the first-ever endorsed sneaker. Puma’s new basketball silhouette is expected to be a modernized update to Frazier’s iconic, original Clyde sneaker from 1973 with knit construction. Jay Z, the rapper and business mogul, didn’t attend the event in Brooklyn, but is expected to lead creative direction for marketing campaigns, according to ESPN. He will also offer insights on product and help recruit players as well as other and music and other celebrity ambassadors. Puma and Jay-Z first collaborated a year ago when the label provided shoes, shirts and other merchandise for the rapper’s 4:44 Tour. The player signings represent Puma’ first NBA endorsement deals in two decades. Puma last signed Vince Carter in 1998 to a 10-year deal, although it only lasted two seasons. Other former stars who have worn Puma include Isiah Thomas and Cedric Ceballos. At its Capital Markets Day in March, Puma revealed intentions to re-enter the performance basketball category and officials see the sport a major step to gain more traction in the U.S.
During the Capital Markets Day presentation, Bjørn Gulden, CEO, pointed to the strong connection between basketball and urban culture, the popularity of basketball styles as best sellers and the success of retro comebacks in the category. The brand’s recent focus has been soccer, running and golf. 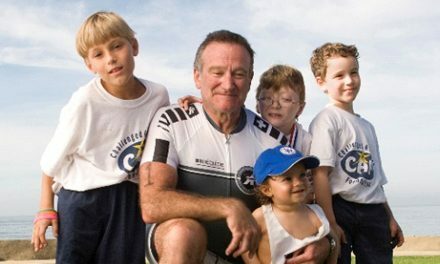 The brand left the category in 2001 and has hinted that it would return to endorsing a major American sport in recent years.